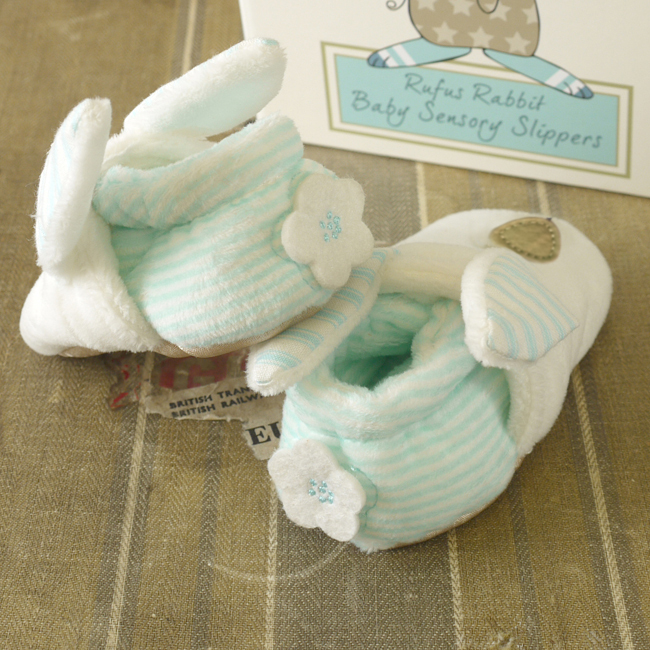 Baby Boy Sensory Slippers by Rufus Rabbit. Soft, warm and very cute. 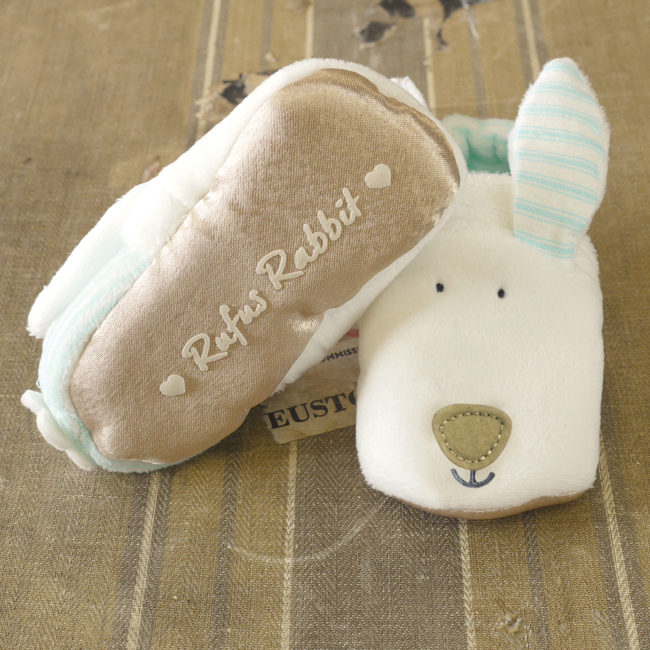 These newborn baby boy sensory slippers by Rufus Rabbit are bunny lovely. They are soft and warm and very cute. 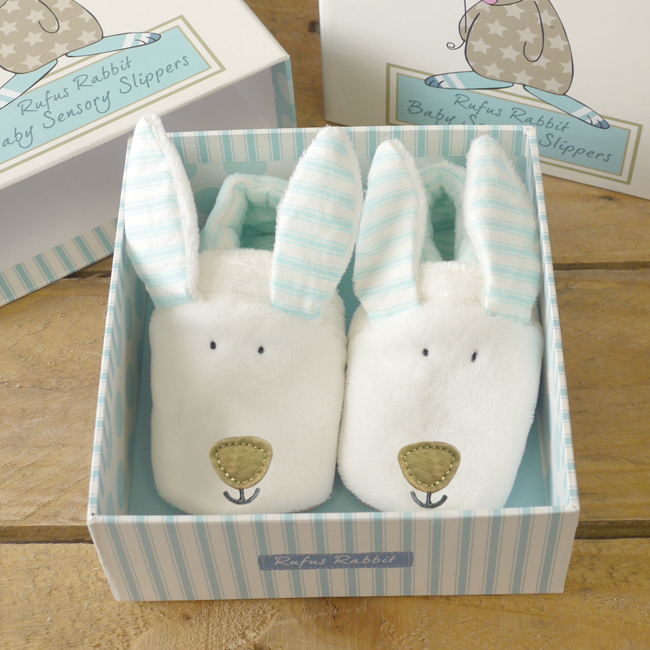 As an added bonus we’ve added crinkly ears to delight little ones when they discover the joy that is their feet. Packaged in quite possibly the nicest shoe box you’ll see this month, we think (and hope you do to) that this is a lovely gift for any newborn.